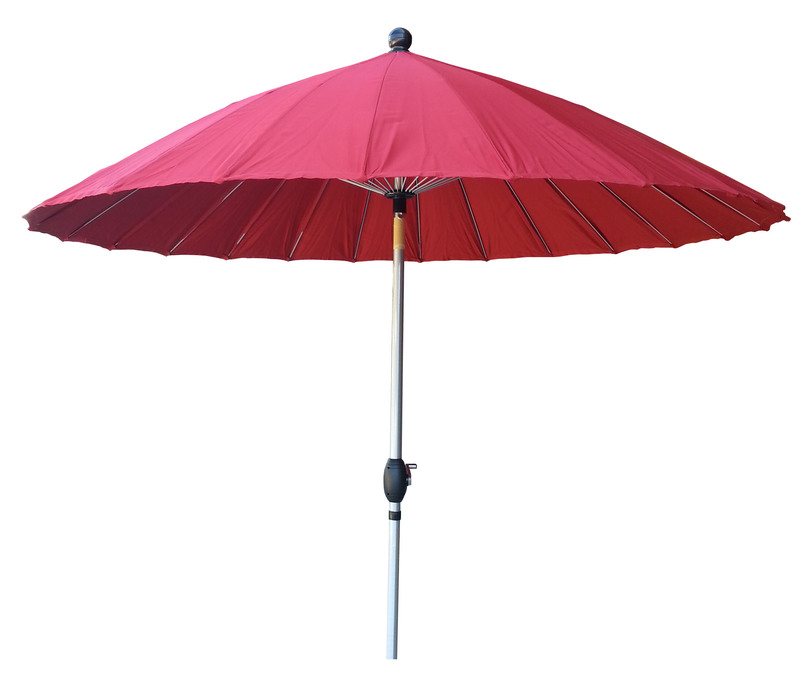 This Oriental styled umbrella looks great and the perfect accessory to any modern outdoor setting. 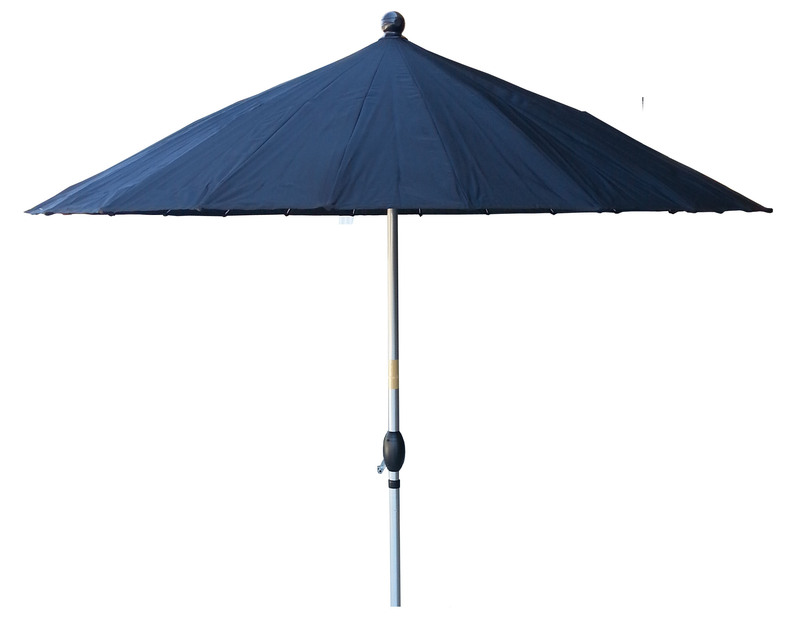 It has an aluminium main pole and 24 steel ribs plus crank and tilt feature. 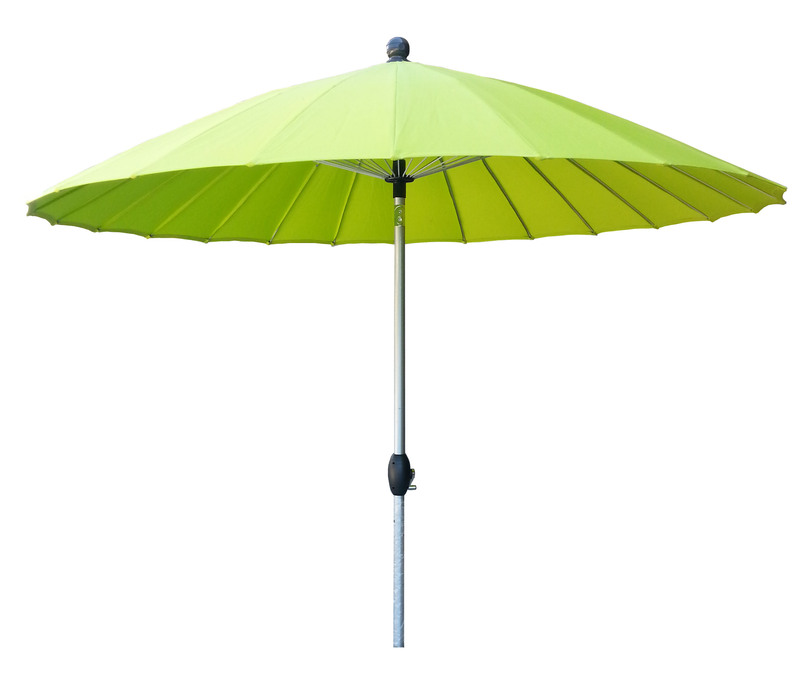 Matching coloured protection cover is included. 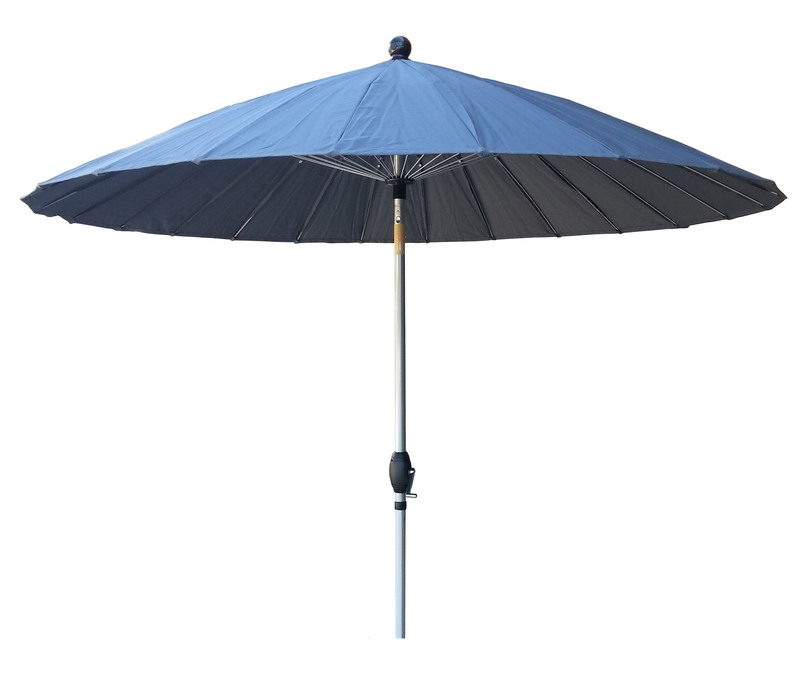 – Aluminium main pole with powder coated steel ribs. – Black plastic coloured hub, runner and ferule. – 38mm 2 section pole. – Crank & tilt feature.